As a quick review of 2018, I'm sharing my five most visited 2018 blog posts here. Two are from blog hops, one is a magazine pattern I had published, one of my Island Batik projects, and the bag was a Project QUILTING challenge. Visit my Best of 2015, Best of 2016 and Best of 2017. I also shared my Five Favorite Finishes of the year earlier this week. I'm linking up with Cheryl's Best of 2018 Linky Party. 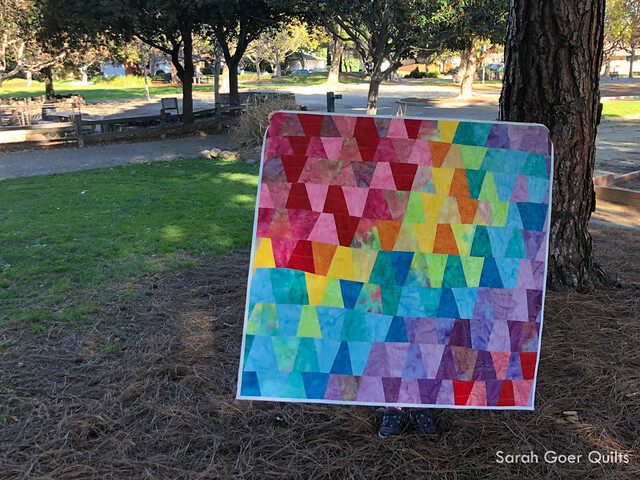 Posted in Quilting on December 30, 2018 by sarah. My goals for 2018 were Teaching, Patterns, Design, Challenges, and Garment Sewing. In hindsight, this was a lot of things. I guess that's how I roll. The majority of my year was spent preparing to teach and lecture. I attended two Meet the Teacher events as planned to market my offerings, developed two workshops and three lectures, and built a body of work to support my Rules an Options of Planned Improv Piecing lecture and Planned Improv workshops. 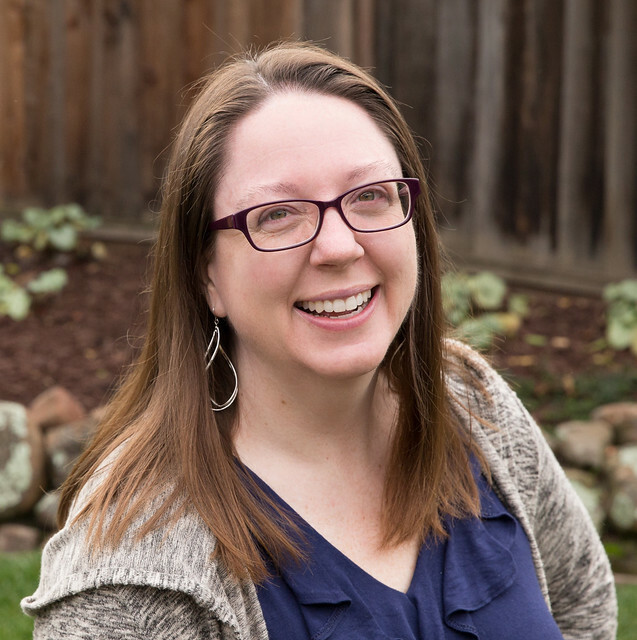 I spoke at Amador Valley Quilters in November and scheduled with eight guilds for 2019 and 2020. 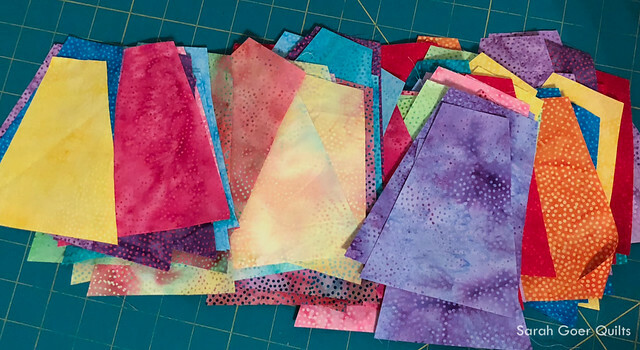 The majority of my sewing energy went into quilts for my teaching and lecturing, so I still have some patterns in the queue. 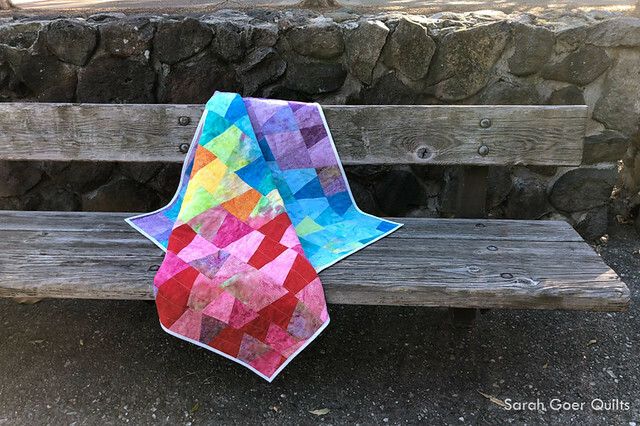 I did publish my Floating Hexagons pattern, though due to the downsizing at Craftsy it is not currently available for sale. In my design work I wanted to work with more solids, continue with Planned Improv, and use letters of the alphabet as design inspiration. I have numerous ideas of alphabet inspiration, but I think my i Mini is the only one I completed. 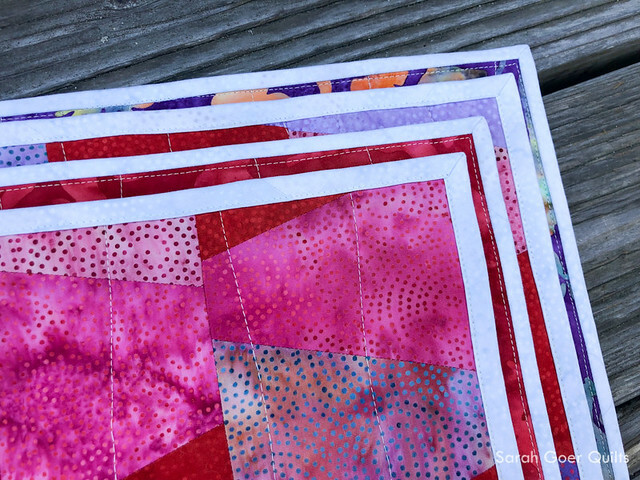 I had a small number of quilts from solids, the most successful of which was my Pantone Ultra Violet All About Angles. I did, however, focus deeply on Planned Improv and ways that I could play with design in a structured way. 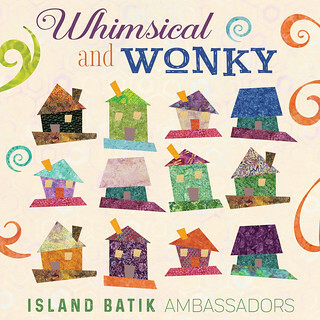 The vast majority of the quilts I finished were from challenges, namely Project QUILTING and Island Batik Ambassador monthly challenges. Additionally, I had a handful of projects for blog hops to feature a particular fabric or pattern (which is a type of challenge in itself). This one really fell flat. I started the year with the intention to make garments for myself. I have fabric and a pattern ready to go, but I just haven't taken the time to make it. I'd almost say "balance" here, but I think balance a bit of a facade. Or a mirage. 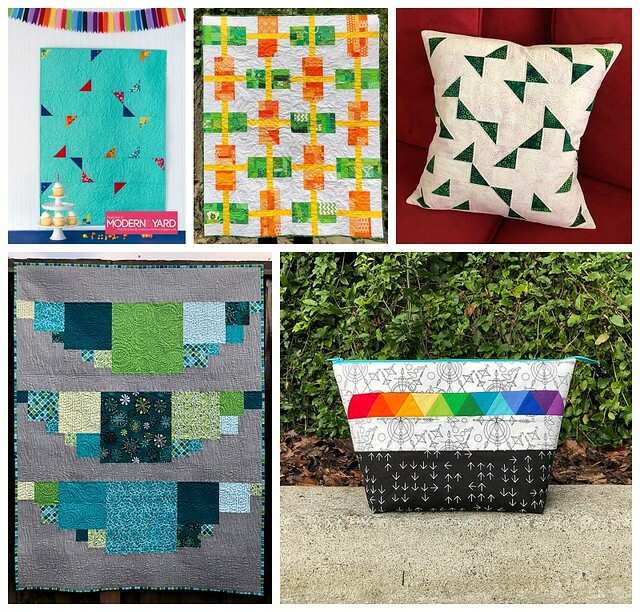 Anyhow, life and quilting life were all a big hustle in 2018. As 2019 starts I will be working on improving the routines and scheduling in my life. I would like work hours to be primarily while the kids are at school, leaving my afternoons to be more present with my kids. I tend to be deadline driven. I'd like to work on some goals that don't have deadlines, which will require planning and commitment. And for the projects with deadlines, I'd like fewer of them to be finished at the last minute. 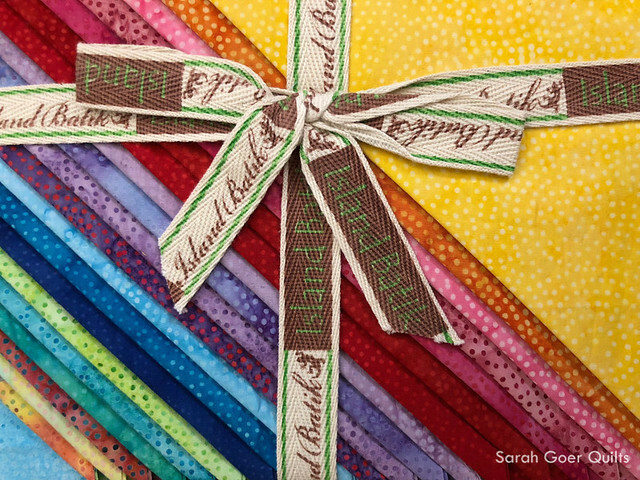 I'm excited to continue traveling to lecture and teach at quilt guilds. I'm booked throughout 2019 in Northern and Southern California and have started booking dates into 2020. I have a couple additional workshops on my mind that I'd like to develop. I'll be thinking about what I have the bandwidth for. I suspect I will unveil a couple more workshops later this year for booking in 2020. 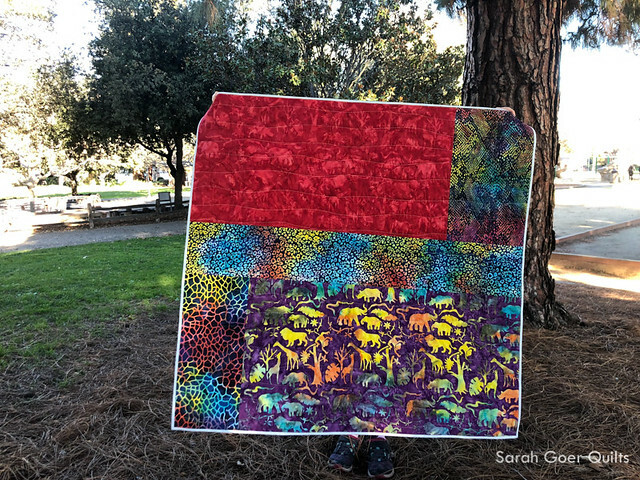 I have a couple patterns in the queue to self-publish, but this will require that I put up a pattern shop on Sarah Goer Quilts. I would also like to revisit submitting patterns to magazines as time allows. And I have a book idea and another product idea that I will be working to develop in 2019. This bring me back to pacing. I'll be prioritizing these different projects and scheduling dedicated time in my daily and weekly routine for these items. I have started the process of creating a shop on Sarah Goer Quilts for pattern and product sales. I'm researching which platform I want to use on my site for sales. I will also be working to find a local printer for pattern printing which will allow me to bring patterns for sale when I speak and teach. I'd like to develop a regular practice of designing, either on paper or by computer. I continue to be interested in exploring Planned Improv as well as modern traditionalism design. I still want to start making clothing for myself. Atop my list is a Blackwood Cardigan with a small black and white stripe. I have the fabric. And I've printed the pattern. I've made note of numerous other patterns I'd like to make for myself, but I'm only allowing myself to stash fabric and pattern for two projects in the queue. This will help keep things in check so I don't just end up stashing garment fabric and patterns. My daughter has outgrown some clothing as she's gotten taller, so we have plans to add skirts onto a couple shirts to turn them into dresses. My son's biggest clothing woe is wearing holes through the knees of his pants. He's on board for learning how to patch his clothing. So this goal is a bit of a team endeavor. 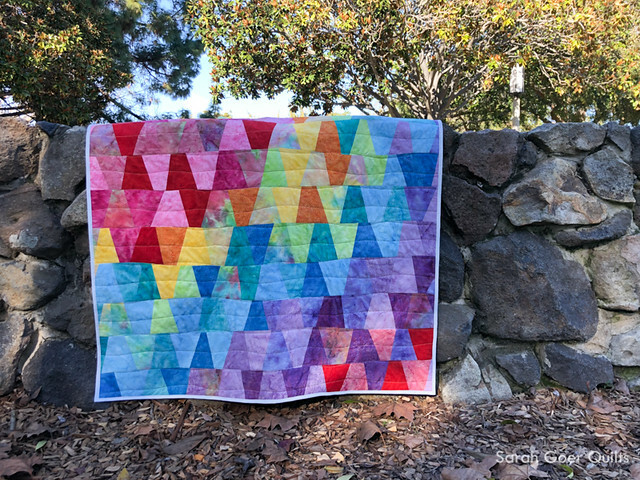 I'm linking up to the 2019 Planning Party with Quilting Jetgirl. Posted in Quilting. Tags: goals on December 29, 2018 by sarah.